The First Lady and Head of the Rebecca Foundation has called for a renewed drive in the battle against malaria. Whilst applauding the efforts of all stakeholders and individuals in this age-long fight, Rebecca Akufo-Addo believes that a renewed and more vigorous approach in the fight against malaria is urgently required. She said this at an event to mark this year’s World Malaria Day under the theme, “Ready to beat malaria” in Accra on Wednesday. The event also witnessed her signing a memorandum on behalf of the Infanta Malaria Prevention Foundation. Delivering her remarks, the First Lady noted that “Ghana has made significant progress in controlling malaria, but there is still more to do. I envision a Ghana, where every child and every woman, is adequately protected or able to test, treat and recover quickly from malaria. According to her, this is a shared vision which was recently shared by President Akufo-Addo recently at the just ended Malaria Summit in London, where he boldly declared that Ghana is ready to beat malaria. She used the occasion to remind Ghanaians on some of the basic individual efforts such as sleeping under an insecticide-treated bed net, using a mosquito repellent and consulting a health worker when you or a family member has symptoms of malaria, to get tested and treated. “When we do these, we are ready to beat malaria,” she added. Mrs Akufo-Addo, also called for collective engagement by all, saying, “Whether you are an organisation or an individual, join us and take action this World Malaria Day. Declare you’re ready to beat malaria”. She was happy that the Ghana Health Service and partners are improving access to health care, by strengthening the existing Community Based Health System as much of the burden of disease in our country can be prevented, through the effective delivery of health services made possible through CHPS. Noted for her commitment to the cause of women and children, Mrs Akufo-Addo said to address the high rates of severe under-nutrition and the high incidence of malaria in our population, relationships with Merck and AspirX, offers opportunities to invest in what we believe will make a difference in the lives of women and children. The First Lady called for increased commitments, partnerships and sustained investments to improve coverage of proven interventions, which benefits women and children. Famed for handling delicate healthcare procedures, specifically spinal and neurological surgeries, the Foundation of Orthopaedics and Complex Spine (FOCOS) Hospital, has added on to its state of the art orthopaedic care and education centre, a 16-bed children’s block. This forms part of plans to provide quality and affordable medical care to its patients. 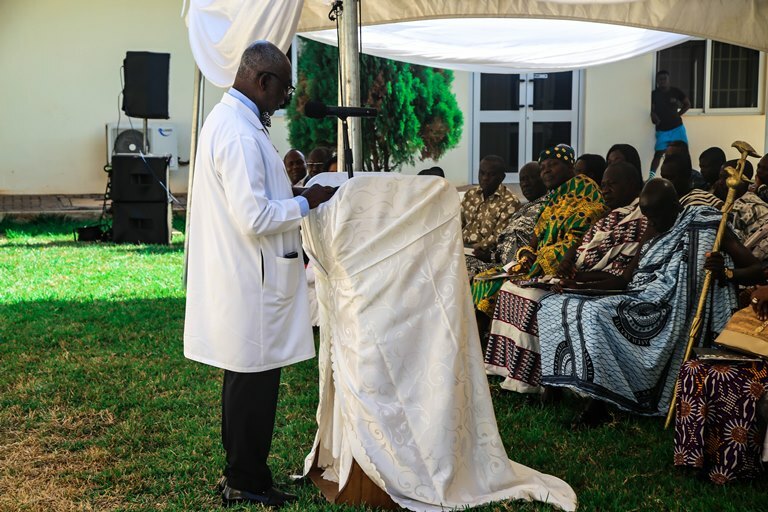 Established as a non-for-profit organisation to provide comprehensive orthopaedic care to the under-served populations across the African continent, founder of FOCOS hospital Prof. Boachie-Adjei, said progress by the health facility forms part of plans to improve on the health conditions of patients at the centre. “Another very important milestone and that is the commissioning of the Wayne and Claire Heyland Children’s Pavilion. It is very inspiring and encouraging seeing the progress we are making everyday with the FOCOS Hospital project,” he said. “We first had a single room for a clinic at the Trust hospital in 1998, then a 4-room house at the Watson clinic in 2004, and subsequently the FOCOS hospital complex with 50 beds in 2012. Now we can boast of a dedicated 16-bed children’s block with an adjoining activity center, which allows our hospitalized patients the opportunity to receive classroom instructions and also engage in recreational and social activities,” he narrated. 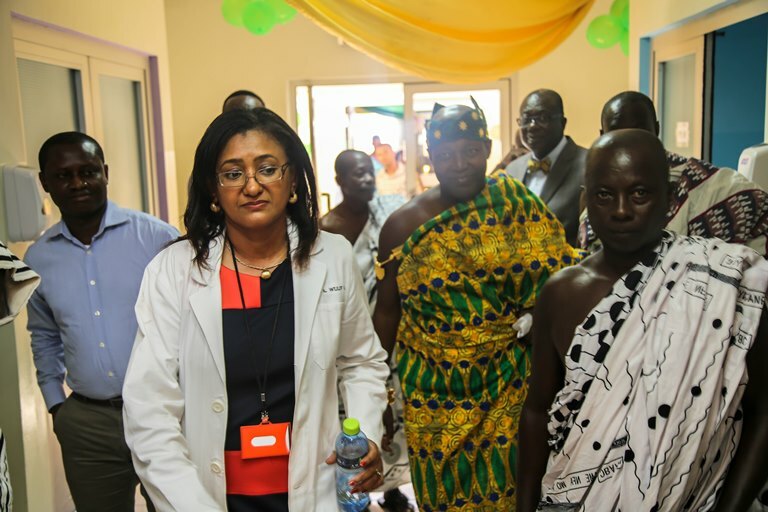 In a speech read on behalf of the Deputy Health Minister, Tina Mensah, government said it has always supported private initiatives in specialty care. Established in 1998 by renowned orthopaedic surgeon Professor Oheneba Boachie-Adjei, the hospital seeks to enhance access to optimal surgical and non-surgical care for patients with disabling musculoskeletal disorders including complex spine deformities and pediatric orthopaedic problems in under-served regions within and outside Ghana. The facility is also affiliated with the Hospital for Special Surgery (HSS) based in New York, a position reached in 2014. Ghanaian born Prof. Boachie-Adjei has special expertise in the treatment of scoliosis, kyphosis and spine reconstruction in both adult and pediatric patients. He was recognized for his contribution towards orthopaedic healthcare delivery in the world at the “Dream Makers” gala held in August 2017. The management of the Korle-Bu Teaching Hospital (KBTH) is set to digitise their operations in a bid to enhance health delivery at the facility. Chief Executive of the Hospital, Dr Felix Anyaa told Joy News a new software has been introduced to fast-track administrative work. According to him, the software will improve the doctor-patient relation, bed management, maintenance and the handling of emergency cases at the hospital. He said with a linkage between the emergency department as well as all other departments, the hospital will go a long way to check its revenue flow. “The beds and emergency units are not the only things we need for our emergency department, there should be a software linking the two. “If we have a software linking the whole hospital you would know how much money you are making,” he said. In 2014, an audit by the Ghana Audit Service and intercepted by Joy News revealed various financial malfeasance by the former managers, landing Ghana’s premier hospital in serious financial crisis. According to the report, some former managers caused a loss of GH¢118,461.04 to the hospital. But Dr Anyaa said this and other such practices will be a thing of the past as the software will give him and the Director of Finance real-time access to what revenue the hospital is making at any time. “In any place, we should be able to monitor. So, we did that software to be in control so that you can be able to track, make projections and block leakages,” he said. The KBTH CEO added that with such a software, it will help in beds allocation at any given time to forestall situations where patients are turned away when there might be empty beds. 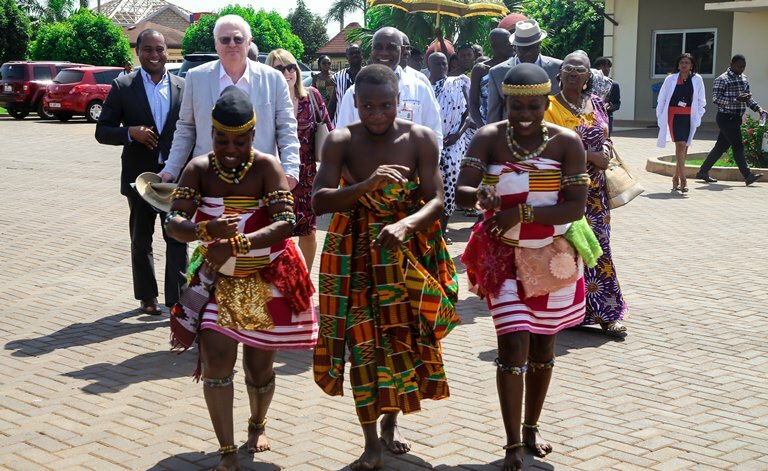 The Hunger Project Ghana, in line with its social transformation and leverage principle to improve the living conditions of vulnerable people in rural communities, is investing a total of 285,000 Euros in maternal and child health. The project would equip the 15 epicentres located in rural communities in the Eastern, Volta and Central Regions with modern equipment to provide timely and efficient maternal healthcare services to rural dwellers. He said in order to provide full access to quality maternal healthcare, the project’s focus was to train the community health nurses to provide the needed services in maternal health care and reduce maternal mortalities. Mr Afranie noted the Hunger Project was in partnership with the Ghana Health Service (GHS) in implementing a “task-sharing’ programme to build the capacities of community health nurses. Currently, about fifty two veterinary doctors are unemployed due to government’s inability to absorb them into the system since 2016. In 2017, some trained veterinary doctors in the country similarly demanded immediate employment from the government. The doctors had also issued a month’s ultimatum to the government, threatening that they may take legal action if the government fails to meet their demand. “As we speak now, two batches are in the house; they’ve not been posted, and the third batch is doing their housemanship now, but they have not been served their appointment letters but have been asked to do their housemanship, so they are also demanding their appointment letters,” he said. The Veterinary doctors’ plea follows protests by some graduate nurses who were asking government to employ them. The National Blood Service, Ghana (NBSG) on Wednesday said it was unable to reach its 50 per cent target of Voluntary Unpaid Blood Donation across the country in 2017. Dr Justina K Ansah, the Chief Executive Officer (CEO), NBSG said the service was able to achieve only 36 out of the 50 per cent target for voluntary blood donations nationwide. There was however a slight increase in percentages regarding donations recorded in the Area Blood Centres, from 55 per cent in 2016, to 59 per cent in 2017, out of the target of 70 per cent, while the Increase Blood Collection Index (BCI) per 1,000 population also stood at 6.1 per cent, failing to meet the target of 6.5 per cent in the year under review. Dr Ansah, who was speaking at the 2017 annual performance review of the NBSG in Accra, admitted that currently the Service was faced with the huge challenge of inadequate blood stock, and urged the public to consider it their civic responsibility to donate voluntarily to change the status quo. “We need only one per cent of the population of Ghana to voluntarily donate on regular basis and the NBSG would be able to collect sustainable blood stock in all the types to save lives,” he said. The annual performance review on the theme; “Partnership for 100 per cent Voluntary Unpaid Blood Donation in Ghana,” was to among other objectives, galvanise stakeholder support in enhancing the stock of the commodity, to maintain a sustainable and safe blood supply service to meet the increasing needs of the country. It further created a platform for stakeholders to access the status of blood services in Ghana, to adopt specific corporate objectives, action plans and strategies for the way forward in 2018. Dr Ansah said although the Service had improved on its strategies to get more Voluntary Unpaid Blood donors, the percentages had dropped to worrying levels, and explained that the family replacement system was just a stop gap measure, which the service was moving away from. She said this has accounted for the constant shortages, hence the need to ensure 100 per cent voluntary donations to ensure sustainable supply throughout the country. She said the perennial blood supply shortages across the country constituted a serious worry, not only to the service, but to all other areas of the health sector. She attributed the current absence of the spirit of volunteerism among Ghanaians as the major cause, as people still did not see the need to engage in voluntary blood donations to help save lives. According to her, “not everybody could donate, for this reason the need to partner, as one of the strategies, and everybody playing their role in this regard to ensure the safe supply of blood and its related products. “We need to make blood available in all the blood groups, so people must donate since blood donated has a shelf life of only 35 days and therefore the need to donate often”. Dr Ansah said the NBSG would maintain the 2017 target of achieving 70 per cent Voluntary Unpaid Blood donations for 2018. She said the service would move forward, strengthen partnership with all stakeholders, step-up public education, improve staff capacities to enhance the operations of the service and push for the parliamentary approval of a legal framework to back the current Blood Policy, to aid activities of the blood services. The Service, she said, was also in talks with the requisite authorities to consider the decoupling of blood supply services, explaining that, currently all such costs were added to the bills of patients that were paid directly to the health facilities, and this has accounted for the indebtedness of the NBSG. Dr Anastasia Yirenkyi, the Acting Director of the Traditional and Alternative Medicine Directorate, Ministry of Health, representing the Minister, commended the efforts of the NBSG and its partners for the work done so far to save the lives of Ghanaians. She said despite the numerous contributions and impacts that the Service had made in achieving progress towards addressing the health needs of Ghanaians, there were still some major challenges and therefore the need to join forces and improve upon the collection of blood in all the groups to save more lives. 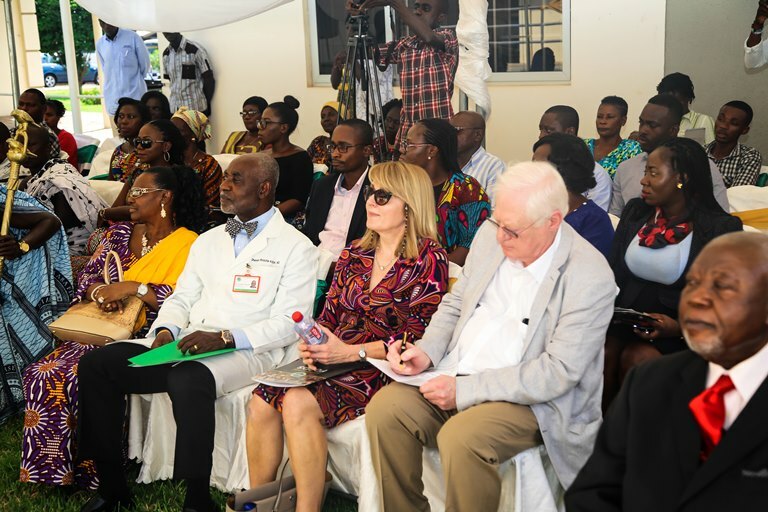 Dr Yirenkyi said since life was dependent on the quality as well as the quantity of blood being circulated in the human body, the consequences, when standards were lowered, could spell doom for the health of patients. She said government was committed to provide the necessary logistics and essential human resources, as well as funding, to ensure the achievement of the target of 100 per cent Voluntary Unpaid Blood donation. The Ministry of Health, she said, would further ensure that the bill was presented to parliament for approval, to give a legislative backing to the current Blood Policy, to ensure the smooth administration of blood services and activities. Government has told graduate nurses to stop picketing at the Health Ministry as plans are far advanced to employ them this year, 2018. Information Minister, Mustapha Hamid, at a news conference on today [Tuesday], said the Finance Ministry has given clearance for them to be employed. He however did not state specifically which month they will be engaged. This comes after a new group of graduate nurses picketed at the Ministry of Health asking to be employed by government. Picketing at the Health Ministry to demand employment has become a common phenomenon for various health professionals in the country especially in the last three (3) years. The about 200 graduates who picketed at the Ministry on Monday say several appeals to the Ministry of Health to engage them after they completed school in 2016, have not yielded results. The aggrieved students were prepared to spend the night at the Ministry if authorities failed to post them, but they were dispersed by police personnel, only to return to the Ministry today [Tuesday]. Last week, another group of bonded unemployed nurses and midwives staged a protest at the Ministry of Health to demand posting. They said they have been idling at home for the past two years after successfully leaving school and completing their mandatory national service. But Information Minister, Mustapha Hamid at the press conference said the picketing must stop because the Health Ministry will soon be posting them. Scientists are advocating a national policy to tackle overweight and obesity among Ghanaians. Principal Investigator of Researching Obesogenic Food Environments says the situation requires urgent action for healthy food environment. Dr. Reginald Ajetey Annan spoke at a collaborative research workshop in Kumasi. A 2016 study in Ghana shows 99 percent of households depend on traditional markets to source their food, including processed. Preference is attributed to greater variety, lower price and proximity. The researchers stress need for interventions to ensure local markets stock a variety of fresh, rather than processed foods to promote health. According to the World Health Organization, nearly two billion adults across the globe were estimated to be overweight in 2014. Studies conducted between 1998-2016 show 43 percent of Ghanaian adults are found to be obese. Health professionals say obesity is an important risk factor for diabetes, high blood pressure and other non-communicable diseases. Preliminary findings suggest Ghana’s environment is flooded with foods that increase the risk of obesity and associated complications. “Policy is important because the food environment is also driven by trade and trade policy determines what is available,” he said. “If the turkey tail [ban] example has worked it means other policies can be put in place to tackle foods that are high in sugar, salt, fat etc,” he added. Researching Obesogenic Food environments is a 3-year joint study between Ghana and South Africa. Funded by International Development Research Centre, it seeks to understand changing nature of food marketed in poor communities in both countries. Drivers of these changes and the potential lift available to improve the healthiness of local food market are among the objectives. The second phase of the programme will focus on retail energy and value chain governance. “This will culminate in the third phase which will analyze governance and political economy and identify policy opportunities,” said Prof. Rina Swart of the University of Western Cape.